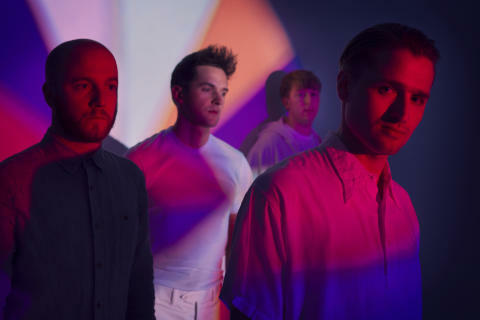 The performance times have been revealed for this year's festival, and Wild Beasts have been added to the program as Dúné aren’t able to play. It is a great puzzle to solve when you have 41 acts on the program spred over three days. But now the final pieces have fallen into place, and we can now release this year's schedule. At the same time we can add Wild Beasts to the program since Dúné have been prevented in playing. 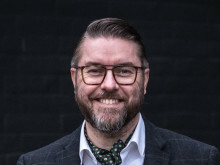 Earlier this year, the English quartet released the album "Present Tense", which was called "excellent" in a review in GAFFA. The album is the fourth from the band and musically it's their most electronic and direct to date . The unpredictable orchestra got compared to Rufus Wainwright and Antony and the Johnsons at the beginning of their career, but quickly established themselves as a unique and extremely interesting act, so we are very excited to be able to present them at NorthSide. 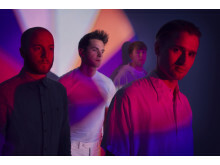 Wild Beasts will play Sunday 15th of June at NorthSide 2014 and they will have the honour of being the last act on the Red Stage. The remaining play times can be seen on NorthSide.dk as well as in the official app, which is available for both iPhone and Android. All one-day-tickets for NorthSide 2014 sold out on the 19th of February and if the sale of three-day festival passes continue at the current pace, we expected that all tickets would be sold out in early April. The final program for NorthSide 2014 features the following acts: Ane Brun, Arcade Fire, A$AP Rocky, Baby in Vain, The Blue Van, The Brian Jonestown Massacre, Chorus Grant, Cold Specks, Donkey Roadshow & Special Guests, Flogging Molly, Franz Ferdinand, James Vincent McMorrow, Jurassic 5, Lana Del Rey, Lars H.U.G., Lucy Love, Lulu James, Mew, The Minds of 99, The Mountains, Mount Kimbie, Nabiha, The National, Nina Persson, MØ, Oh Land, Pixies, Quadron, Queens of the Stone Age, Reptile Youth, Rhye, Royal Blood, Röyksopp & Robyn Do It Again 2014, Rudimental, Ry X, St. Vincent, Temples, Turboweekend, White Lies, WhoMadeWho, and Wild Beasts. NorthSide 2014 can be experienced in Aarhus, Denmark on the 13th-15th of June, and tickets are available through Billetlugen.dk. Visit NorthSide.dk or facebook.com/northsidefestival for more info on NorthSide 2014.